Constructo's wooden kit contains all the necessary parts for its assembly: Structure in different woods, as well as prefabricated fittings in metal and wood. A comprehensive instruction manual in 7 languages: Spanish, English, French, German, Dutch, Italian and Portuguese, provides step-by-step photos of the entire assembly process. Includes 6 sheets of plans with all the views and details necessary for its construction. Set of pre-sewn sails is included in the kit. 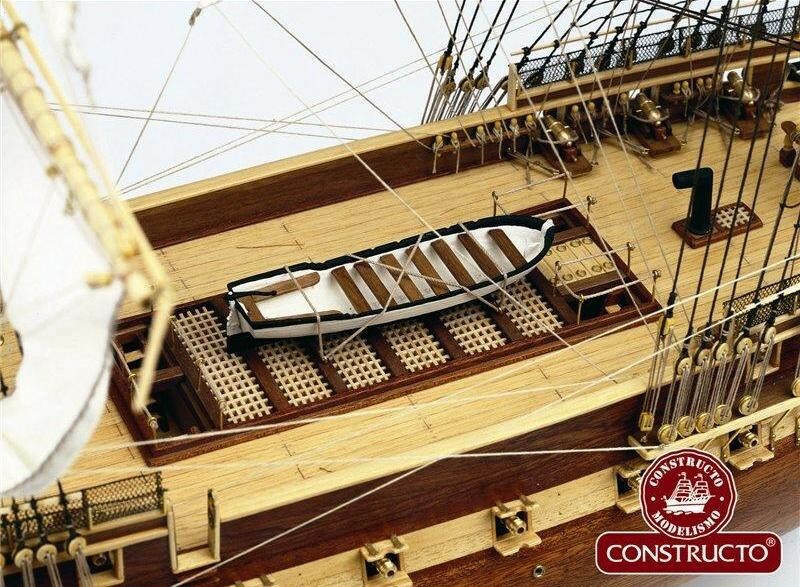 In 1794 by authorizing the construction of six warships, the United States Congress effectively created it’s navy. The U.S.S. 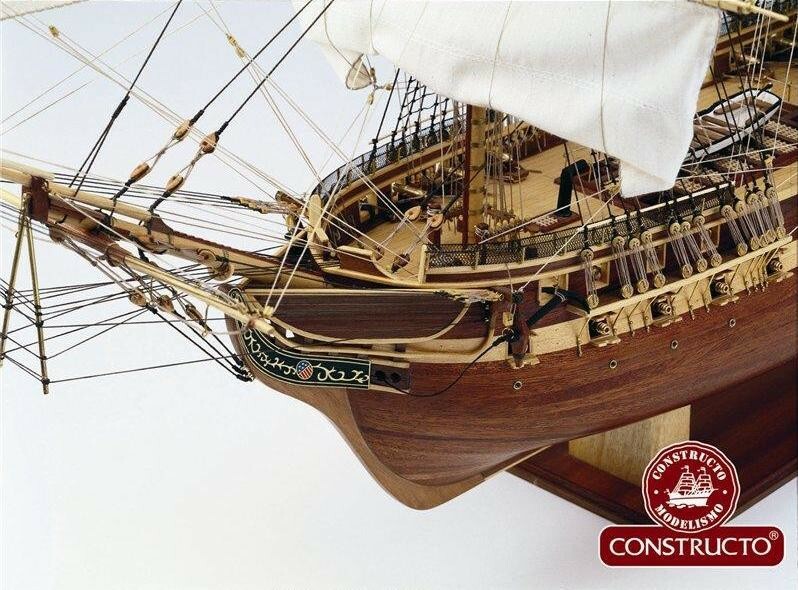 Constitution was built in Edmund Hartt’s shipyards in Boston in 1797. Her first job was to patrol the Eastern Coast of the US during the “Quasi-War” with France (1798-1800). 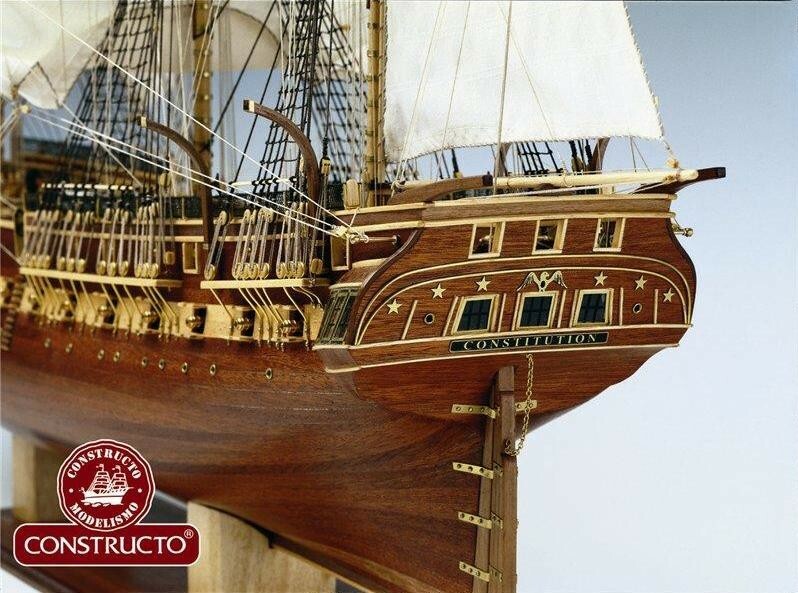 The ship is currently in the Naval Museum and lies at anchor in the American Navy shipyards in Boston. Currently the mission of Constitution is to promote understanding of the Navy's role in war and peace through active participation in public events and education through outreach programs, public access, and historic demonstration. Her crew of 6 officers and 46 enlisted participate in ceremonies, educational programs, and special events while keeping the ship open to visitors year-round and providing free tours. The crewmen are all active-duty members of the U.S. Navy, and the assignment is considered to be special duty. She entered dry dock in May 2015 for a scheduled restoration, before returning to sea. The Constitution is berthed at Pier One of the former Charlestown Navy Yard, at one end of Boston's Freedom Trail. She is open to the public year-round. 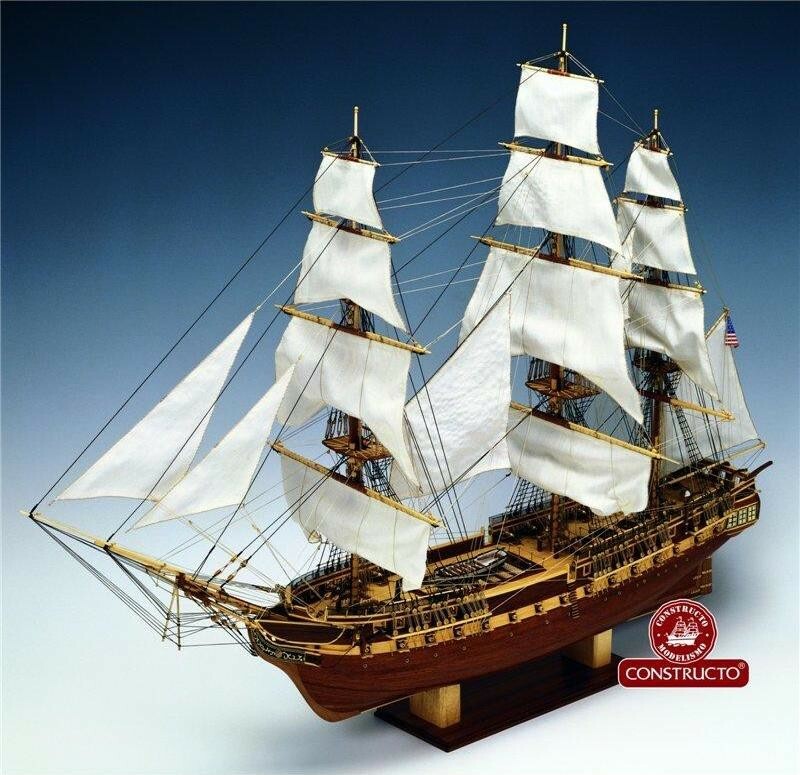 The privately run USS Constitution Museum is nearby, located in a restored shipyard building at the foot of Pier Two. Old Ironsides typically makes at least one "turnaround cruise" each year, during which she is towed into Boston Harbor to perform underway demonstrations, including a gun drill; she then returns to her dock in the opposite direction to ensure that she weathers evenly.The "turnaround cruise" is open to the general public based on a "lottery draw" of interested persons each year.